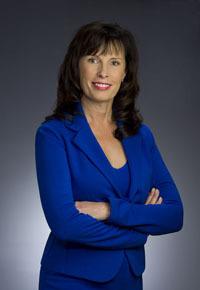 Judy Rushfeldt is an author, speaker, entrepreneur, and online magazine publisher whose mission is to inspire and equip women to reach their potential. Her latest book, Making Your Dreams your Destiny, won two national awards. It reflects her passion to equip others to step out of their comfort zones and cultivate the courage, character and faith necessary to translate their dreams into reality. Judy has been writing professionally for 30 years, including authoring three books and writing hundreds of magazine articles. She is often invited to speak at women's conferences, churches, retreats and other venues. Judy has an Honors Diploma of Journalism and a Masters of Theological Studies degree. Judy is a writer and speaker with over 30 years experience in writing, publishing and speaking. Her mission is to help women discover and reach their potential.